12/28/12 - Message from admin: It's been a long time since I updated this page. Although this page is based on the great things that members say about the site, a member (Brian) has asked if we could remember a member that recently passed, not just for fantasy football but also for being a great person. Tom (member name = CrawDaddy) called me a few years ago looking for a different site to host his private leagues. We wound up talking quite a bit to organize the private leagues. He was a great person and character. He brought people together to enjoy the camaraderie that fantasy football offers. Tom was a member of the League of Champions and Cajun Nation Coullions. Both leagues are now public leagues but many members of the two leagues know Tom and continue to participate. Brian has asked us to remember Tom, "Just would like to say as a member of both of these leagues I will miss the passing of Tom. He was a great promoter and a ton of fun in Fuzzy's. He made this game more than just a game. He made friends with everyone he played with. He will be sadly missed." If you know any members of Fuzzys who is ill or has passed, please feel free to let me know so we can pay tribute to one of our own. Just wanted to let you guys know that I love the format, payout, and way the league ran at Fuzzy's. I think I like it so much that I'm going to move all my pay leagues to Fuzzy's. I have been going on a couple of other pay league sites, but nothing compares to what you guys have done. I like the fact that everyone making the playoffs gets a payout. I also like the fact that the points winner gets some award too. It's just genius! I will DEFINITELY be back next year. Last yr was my first at Fuzzy's also. I've played many yrs elsewhere and had a ton of fun, but last Yr was exceptionally the BEST! Your on the ball with variations, rules, set up, lay out, draft, mocks, U gottem all Beat. Ur the best going that I've found and Im Back this yr. Thanks for the Site, It is truly enjoyable. For years now I have played my cash leagues with Fuzzy's and never had more fun from day one to the fun anticipation of every Thursday's auction (blind bidding). As for the draft board, it is the best that I have ever had the privilege to play on. Thanks Fuzzy's. I entered into a league (Gremlin Goaliners FFL) on your site last year. 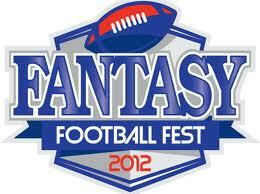 I am a fairly seasoned fantasy football player and I must say I thought your site and overall league set up was among the best i've played. The draft went smooth and the rules were fair. In recent years i've been spreading my fantasy leagues over many sites and I'd like to consolidate the amount of sites I play on. I am considering doing up to 8 leagues with you this year and all the leagues I would be in would range $500-100 buy in and possibly the $1000 league. I was a first year player who was in two of your leagues this past year. Just wanted you to know that I had a very good experience playing in your leagues. You run a good game with decent payouts and quick payments. I will be back next year and will tell my friends about you. Thanks. First of all I want to say how much I enjoyed my Fuzzy`s experience last year. I liked everything about your format. Then when it came time to claim my winnings you came through again with the easiest set up I have seen, in all the different sites I have been at. Thanks for a great experience. Suggestions to improve your experience at FFF? Comments are always appreciated.